Some guys have all the luck. Working outside and getting to move around all day is awesome, right? Until something heavy and metal falls off a ladder and onto your feet. Make sure incidents like that don't put you off the job for weeks by wearing these Reebok Me ... (see full details) (see specifications) #RBKRB6755. Some guys have all the luck. Working outside and getting to move around all day is awesome, right? Until something heavy and metal falls off a ladder and onto your feet. Make sure incidents like that don't put you off the job for weeks by wearing these Reebok Men's RB6755 Trainex EH Internal Met Guard Composite Toe Boots. This exceptional footwear is constructed with black, full-grain leather uppers that look great and wear well. Leather is naturally resistant to water, oil and abrasion, so it looks nice even after being worn hard. Feel free to plod through puddles and over piles of dirt in these Reebok boots. When something does fall off a ladder and threaten your well-being, you'll be protected with composite toe boots with metatarsal guards. The composite toes on these met-guard boots shield your toes from impacts that can crush them. Met guards extend the coverage to the tops of your feet, protecting your delicate metatarsal bones. With a 6-inch height, these shoes protect your ankles too, but they're low enough that they don't cause your legs to become too warm. Inside, they're lined with Tailex and Cambrelle fabrics which help wick moisture away from your skin and reduce chafing. Damp feet aren't healthy feet--keep yours dry in these Trainex boots with wicking fabrics. Like toe and met guards, soles are safety features too. Soles that resist oil, heat, chemicals, abrasion, and metal chips are valuable commodities at work. These Reebok composite toe boots have soles that provide the slip resistance you need to help you safely get through your day. They're also resistant to oils, metal chips, heat, abrasion and chemicals, so, no matter what you step through, the soles can stand up to it! On top of their serious slip resistance, these premium boots have outsoles that support you and are durable. The part of the soles that make contact with the ground are made of Athlite Rubber, which provides a sure grip on all types of surfaces. EVA cushioned midsoles between the outsoles and the insoles provide additional shock absorption and comfort. Inside these non metallic boots, EVA cushioned inserts and sponge-rubber heel wedges provide comfort and cushioning. A solid foundation might be great for a building, but that type of hardness is not good for your feet. Even if you're never the guy who's on the ground under the ladder because you're the guy on the ladder, these met-guard boots have something for you. With their 90-degree heels, they help you remain stable on ladders because the heels lock into the angle between the ladder supports and rungs. Don't leave workplace safety to chance, know exactly what your work boots provide. When you investigate safety toe boots, you'll find that they're not all created equal. A pair of Reebok RB6755 Trainex EH Internal Met Guard Composite Toe Men's Boots provides the right protection and support for your feet. Click and order yours today. If you liked the Converse C6755, then you will love the Reebok RB6755. 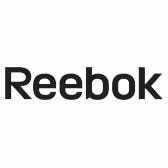 Reebok Boots: Men's RB6755 Trainex EH Internal Met Guard Composite Toe Boots is being added to your cart.